Across the country, there is a wide variety of colleges and universities offering master’s in Healthcare Management degrees. As more and more schools are offering training in this area, students have the flexibility of finding a program that will work to fit their personal, academic and career needs. While many students seek a large college campus experience, there are many who would much prefer a smaller campus. A small campus has many benefits to students enrolled. These smaller schools tend to have much smaller student to teacher ratios and class sizes. Students typically have the opportunity to work more closely with faculty members and mentors on a variety of activities ranging from research to independent study projects. Many small college campuses also offer a more intimate setting for students to bond with their peers. There are many students hoping to pursue a career in Healthcare Management who will benefit from the strengths of a small college campus. The first consideration was the school’s graduation rate for undergraduate students. While not directly related to graduate school numbers, higher graduation percentages can be viewed in a positive light meaning students had the support needed to completed their degree rather than seeking that support elsewhere from another program. It is hard to argue that cost is not a factor in the search to find the perfect school or program. We only included schools with an average graduation tuition less than $29,500/year. One of the undeniable perks of choosing a small school is smaller classes and more individualized attention. We felt that students who chose a more traditional brick and mortar program would benefit from a higher degree of personalized attention from faculty and staff. Cleary University is a small business university with innovative surroundings, motivated students, and networked professionals who work closely with students to ensure their success. This top small school for healthcare management features an innovative MBA in Health Care Leadership that can be completed on-campus or online. The 22 month program is comprised of 11 key courses, with students taking one course at a time every 7 weeks. The program follows a cohort format, allowing students to work closely with peers for the duration of the program. Goldey-Beacom College was founded in 1886 as a private coeducational college. Currently, Goldey-Beacom College is home to over 2,000 students from 13 different states and 60 countries. They offer 37 different degree options including the top healthcare management master’s degree. The 36 credit hour program covers areas like healthcare policy and ethics, legal issues, and operations and information technology. Graduates have found success in a variety of health care areas including insurance companies, pharmaceutical firms, and long-term care facilities. Christian Brothers University is a four year, private Catholic affiliated university founded in 1871. With 105 full time faculty and an average class size of 14, students can expect to receive individualized attention while earning their healthcare management MBA degree. The 35 credit hour MBA in healthcare management program is comprised of 11 courses. Students attend class one night per week for 8-week periods making this a great choice for working professionals. Courses cover areas like healthcare managerial economics, financial and accounting considerations in healthcare, and current issues in healthcare management. Students complete a capstone project to showcase their knowledge and skills. Florida Institute of Technology is paving the way for healthcare leaders by offering an MBA with a focus on Healthcare Management. Small but mighty, FIT features a multitude of student organizations, a state of the art labs, and unique experiential learning opportunities not found at even the largest institution. Healthcare management MBA students at this top small school complete a field practicum experience and a semester long fully immersed experience with the Student Business Incubator working on a consulting project. Faculty are both expert educators and experienced healthcare management professionals. Graduates have found success working for organizations such as the Department of Healthcare and Human Services and The Eye Institute. The Master’s in Health Care Administration program from LeTourneau University is a rigorous program with the individualized attention you can expect from a small school. LeTourneau has professional affiliations with organizations like the Association of University Programs of Health Administration, the Health Financial Management Association, and the American College of Healthcare Executives. The curriculum was designed in partnership with health care professionals who know the skills and knowledge needed to be successful in the industry. Students benefit from the integration of faith into both course content and discussions with peers and faculty. The College of Saint Elizabeth is a prestigious small university named a Catholic College of Distinction four years in a row and a College of Distinction for three years. The health administration master’s degree program from this top small school is designed for both healthcare providers and professionals who want to increase their knowledge and expertise. The curriculum focused on developing critical thinking skills, problem solving abilities, and ethical decision making. Hodges University is focused on accessibility and welcomes a variety of students including military veterans, individuals with special needs, students requiring English-language support, and those of diverse backgrounds. Small class size, mentoring, and tutoring provide students with individualized support not found at larger universities. The master’s in health service management is a flexible program offered online, on-campus, and in an accelerated format. The program is a great choice for students seeking career advancement or leadership positions. The curriculum is cutting edge, reflecting the needs and demands of the industry. 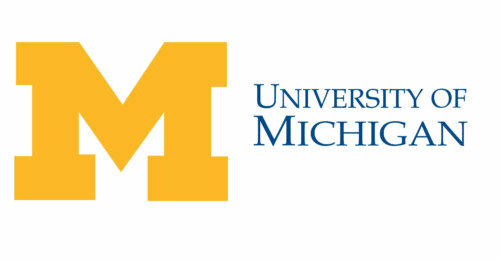 Considered one of the best schools in Michigan by both U.S. News and World Report and The Princeton Review, The University of Michigan features a leading healthcare program. This unique dual degree program leads to a Master of Health Services Administration and an MBA after taking 82 credits of coursework. Students can take coursework online or on-campus, or a mix of both and can attend on a full or part-time basis. Admission is done on a rolling basis, but course selection is greatest during the fall and winter semester. Minnesota State University Moorhead was founded in 1887 and is home to 247 academic programs. MSU features a top MBA in Healthcare Management designed for students who want to prepare for leadership roles in the industry. The innovative design features coursework from multiple areas including the Department of Economics and the Department of Health Services Administration. This AACSB accredited healthcare management degree boasts a 100% job placement rate. Florida A&M University is the top historically black college or university in the United States according to U.S. News and World Report. Students come from all over the world including African countries, China, and Indonesia. FAMU currently offers 29 different master’s degrees including the Master of Health Administration (MHA). This top small college for health administration features coursework offered during the evening hours to accommodate working professionals. The program is an Associate Graduate Candidate Program member of the AUPHA. The University of New Orleans is not only one of our top small schools for a master’s in healthcare, it is also extremely affordable with 77% of students receiving some form of financial assistance. When it comes to earning a relevant degree with skills needed by the industry, over 90% of students are employed within two years of graduation. The top master’s in healthcare management from this small school features courses offered on alternating weekend. The program kicks off once a year, using a cohort format, in August. Courses cover areas like small group management, organizational behavior, accounting, and economics. Graduates have found success working for organizations like Our Lady of the Lake Regional Medical Center, the Center for Disease Control and Prevention, and Children’s Hospital. Clayton State University is an innovative small institution offering students comprehensive degree programs rooted in practical classes, internship and real-world experience. Students of this top small school for health care administration benefit from personalized attention, small class size, affordability, and highly educated faculty. This top small school health care master’s is ideal for both health and non-health professionals who want to lead health related organizations after graduation. This 45 credit hour program includes a community based internship opportunity to give students valuable field experience. The University of Detroit Mercy is a Catholic university founded in both the Jesuit and Mercy traditions. With a population of just over 5,000 students and over 100 academic majors and programs, this is a great small school choice for students with diverse academic interests. The master’s in health services administration offered through the College of Health Professions and McAuley School of Nursing is designed to prepare future healthcare leaders. The flexible format makes this a great choice for working professionals who need evening/online courses or part-time study. Students can earn their degree in just five semesters by taking both online and evening classes. The University of St. Thomas is Minnesota’s largest private university with almost 10,000 students from all 50 states and 63 different countries. The Opus College of Business at UST features a healthcare MBA using cohort learning to develop lifelong connections. 70% of students are women, with 40% being clinicians. Students can earn their degree in just 21 months, taking a mix of on-campus and online courses. A Global Residency opportunity provides students with knowledge and understanding of global innovation in healthcare. This top small school health care master’s program is accredited by the AACSB. Founded in 1854, the University of Evansville is an accredited private institution affiliated with the United Methodist Church. There are students from 55 different countries and 44 states represented on campus, making UE a rich learning environment. This top small school features a master’s in health services administration taught by full-time faculty and adjunct faculty working in a variety of health care organizations. Students can attend either part-time or full-time and most students graduate in three to four years. Designed for working adults, courses are offered during the evening and students can begin the program at the start of any semester. Eastern University is a top small college offering programs tailor made for working adults. This national recognized Christian university features over 20 different master’s programs taught by dedicated, passionate faculty. The 18 month Healthcare Leadership Master’s degree program is formed from a Christian worldview, teaching practitioners both ethically and financially sound practices. A Field Research Project provides students with the opportunity to actively explore real-world health care problems, allowing them to be better leaders once they earn their degree. Oklahoma Christian University is a close knit community with programs taught from a Christian worldview. OCU is considered one of the top universities in the West by both U.S. News and World Report and The Princeton Review. Offering a top healthcare administration master’s degree, this small college is dedicated to meeting the needs of working professionals. Students can earn their degree in just 28 months of study, taking courses either online or at the Oklahoma City campus. Students can start the program in the fall, spring, or summer. Courses cover content such as decision making, employee management, global health, and new technologies. Founded back in 1866, Roberts Wesleyan College has a rich Christian heritage that continues this day. Roberts is currently home to 16 different graduate programs and over 50 clubs and organizations. Degree programs like the top master’s in health administration are taught from a Christian worldview. The 18 month master’s in health administration program is accredited by the IACBE and offers courses one night each week either on-campus or online. Students who have earned their bachelor’s in health administration from Roberts may earn their MHA in just 14 months. Faculty are expert level healthcare management professionals who provide students with an education rich with state of the art practices and training. The University of St. Francis is a Roman Catholic private university considered one of the best colleges in the Midwestern category by The Princeton Review and a “Beat Regional University” by U.S. News and World Report. This top small college of health administration is unique by allowing students to begin coursework in their area of concentration immediately. The Health Care Management Concentration area of the MBA program includes coursework in ethics and legal issues, financial management, project management, and information management. This ACBSP accredited program is a great choice for students planning to work in physician offices, hospitals, consulting, or non-for-profit institutions. Mount St. Mary’s University is a Catholic university, aware of the diversity that exists in the world. As a university, their mission is to prepare leaders on a global scale through leadership opportunities and a close knit community. The master of health administration from this small college prepares students for a career in healthcare leadership in just two years of part-time, on-campus study. Students complete 12 classes, offered in eight week sessions, one night a week. Each cohort is limited to about 24 students, allowing students to develop strong relationships with their peers. A significant highlight of the program is that graduates are certified Lean Six Sigma Green Belt, which is a valuable credential when seeking employment after graduation. Pfeiffer University is a small, liberal arts college affiliated with the United Methodist Church. Founded in 1885, Pfeiffer has deep roots in North Carolina and features campuses in Misenheimer, Charlotte, and Raleigh-Durham. Pfeiffer University features the largest MHA program in the Carolinas with graduates holding leadership positions at almost every major healthcare organization in the Carolinas. The 30 credit hour program is comprised of 12 courses. Students interested in earning a dual degree can apply to the MHA/MBA or MHA/MSL joint degree program. The University of Saint Mary has been named a “Best Midwestern College” by The Princeton Review every year since 2005. Well known for academic excellence, Saint Mary’s offers a variety of educational programs at the undergraduate and graduate level that prepare students for high level employment opportunities. The MBA in Health Care Management is a flexible online or on the ground program that prepares students for advanced careers in healthcare administration. As one of the most flexible programs in the state, students can move between on-campus and online courses without incurring any additional fees. By taking one course each term, students can complete their degree in about two years of study. Courses cover areas like global management, operations management, and human resource management. A Christian college with a Quaker history, Friends University is a faith based institution supporting students’ academic and spiritual lives. Friends University offers a Master of Health Care Leadership offered both online and on-campus to meet the needs of working professionals. The program is one of only three in the state that has received recognition by American College of Healthcare Executives Higher Education Network for offering an exceptional curriculum that prepares students to take the board exam for fellowship. Coursework was developed by industry experts and is taught by full-time faculty and adjunct professors working full-time in the field of health care. Students have three unique options to complete their degree including a capstone course, an international internship, or an individualized internship. Mississippi College is small private institution affiliated with the Mississippi Baptist Convention. Founded in 1826, Mississippi College is the oldest university in the state of Mississippi. Mississippi College recognizes the importance of offering a flexible learning environment for healthcare administration professionals by offering their top master’s in health services administration in a convenient online or on-campus evening format. Coursework covers a variety of areas including marketing, organizational behavior, and finance from a healthcare perspective. Graduates have gone on to find success working in roles like nursing home administrator or health information manager. 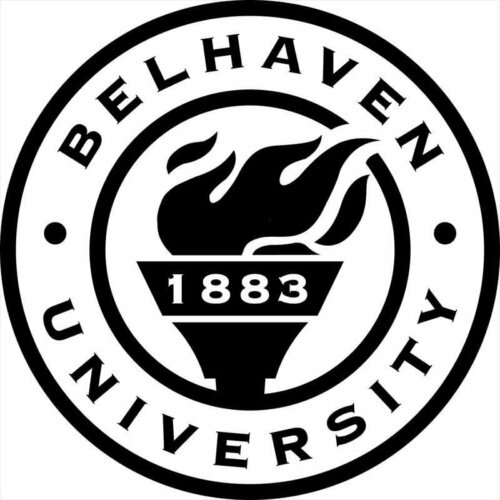 Belhaven University is one of the most influential Christian colleges in the country, offering more than 70 areas of study t the undergraduate and graduate levels. Belhaven offers an MBA with a concentration in health administration. While concentration courses are available online, core MBA courses are offered one night each week to accommodate working professionals. Courses are taught from a Christian worldview with students learning both the business and ethical side of healthcare. Concentration courses focus on health care quality management, legal and regulatory environment for health care, and current issues and trends in health administration. Concordia University Saint Paul is a private liberal arts university founded in 1893. CSP has over 80 different academic programs for both traditional and non-traditional students. The health care management MBA, offered both online and on-campus is flexible for working professionals. This 42 credit hour program includes coursework in health care informatics, ethics, finance, and quality practices. Students complete a managerial application portfolio throughout the program, demonstrating their knowledge and skills. Saint Mary’s University of Minnesota is known for it’s welcoming community and its commitment to students. Faculty work side by side their students, providing them with practical hands on experiences designed to enhance their learning and lead to greater success after graduation. The master’s in health and human services administration program is certainly no exception. Taught by expert level faculty experienced with adult learners, this top master’s in health administration from a small college prepares students for career advancement in a variety of health care areas. Students can earn their degree in just two years of study and they don’t need to wait to being the program, there are six start dates each year. The program is available on-campus, online, or in a blended format making it accessible to even the busiest students. Concordia University is a private Lutheran college located in southern California. Considered to be one of the “Best Regional Universities” by U.S. News and World Report and one of “Money’s Best Colleges” by Money Magazine, Concordia is a great choice for both traditional and non-traditional students. The top master of health care administration from this small college is leadership oriented, focusing on areas like communication and relationship management, healthcare environment knowledge, and business skills. Designed for working professionals, this health administration master’s degree can be completed in just 24 months by taking one course at a time. Winston-Salem State University is the top public historically black college and university in the state of North Carolina according to The Wall Street Journal and was named one of the Top Historically Black Colleges and Universities in the nation by U.S. News and World Report for the past three years. WSSU features a top master’s in healthcare administration that can be completed in just four semesters. New cohorts begin in the fall of each year and students move through the program together, building strong personal and professional relationships. Courses are delivered in a convenient online/onsite format with onsite courses offered in the evenings or on the weekend. Admission to the program is competitive, new cohorts are limited to about 20 students. The University of La Verne is a private, non-for-profit university just east of Las Angeles founded in 1891. One of the most diverse universities in the country, the student population is made up of both traditional age and adult learners, with 44% of traditional undergraduate students considered first generation college students. The University of La Verne is a small college offering a top master’s in health administration comprised of 12 courses taught by experienced faculty. Students can attend either full or part-time with courses offered at both the La Verne and Irvine campuses. Courses are held one night each week for 10 weeks and weekend options are also available. Concentrations are offered in financial management, management and leadership, marketing and business development and public health. 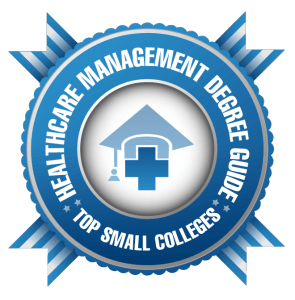 MidAmerican Nazarene University features an MBA in Healthcare Management with small class size and personalized attention, in part because of it’s small size. Students can earn their degree on their terms, either online or on-campus. This top ACBSP accredited healthcare management program can be completed in just 30 months. One of the key program features is the capstone course, providing students the opportunity to shadow key healthcare leaders at their place of employment. Innovate coursework in areas like emotional intelligence and mediation keep students interested and engaged. Brandman University is an innovator in adult education. Offering programs online and at multiple on-campus locations, Brandman is accessible to working professionals. Brandman offers a top MBA in Health Administration that meets the needs of healthcare professionals. Students take coursework in areas like data analysis, financial management, talent management, and healthcare economics. Students develop strong leadership responsibilities and proven business practices that make them successful in any health care environment. Xavier University is a Jesuit Catholic university following the Jesuit traditions of community service, sustainability, and religious inclusion. The master’s in Health Services Administration continues those traditions by preparing students for a successful career in healthcare administration and improving the lives of individuals receiving care. It’s one of only seven programs in the nation requiring a third year administrative residency. This paid administrative residency makes graduates readily employable. Coursework covers areas like healthcare management, finance, policy, and ethics. For over 125 years, Clarkson College has been educating health care practitioners. First, as the first school of nursing in Nebraska and later by expanding their offerings to include programs like the master’s in health care administration. 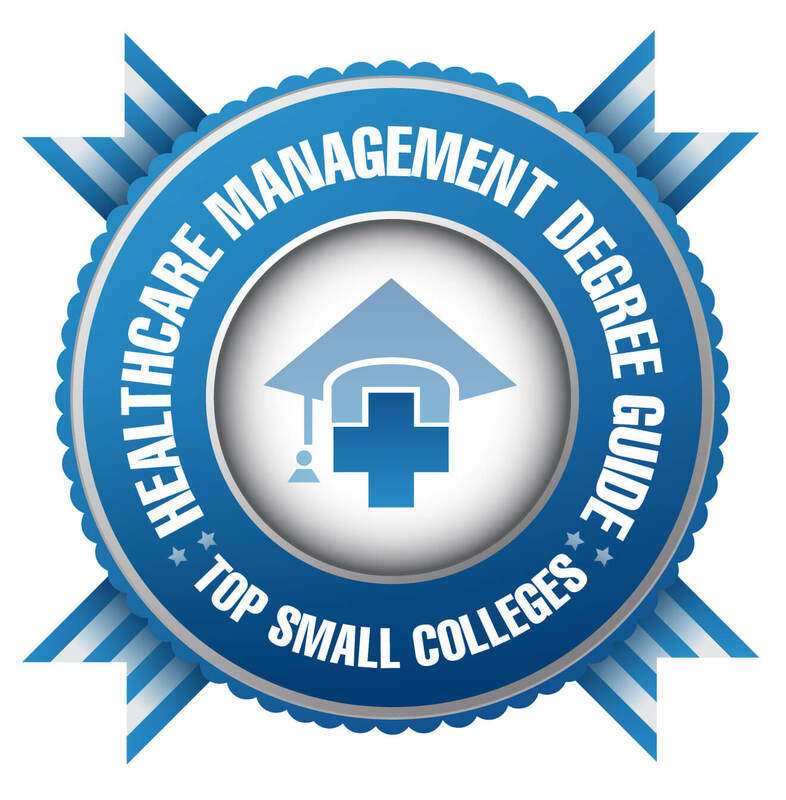 The top small college master’s in health care administration from Clarkson College focuses on diverse leadership strategies and choosing the best solution. Students move quickly through the program thanks to short, six week terms. Faculty are dedicated and knowledgeable in their subject areas so students can be sure course content is relevant to today’s changing health care administration environment. Framingham University offers our top choice for a master’s in health administration by a small college. Framingham University was founded as the country’s first public Normal School back in 1839. Currently home to over 4,000 undergraduates and 1,500 graduate students, Framingham has grown and now offers 24 different master’s programs and 35 bachelor’s programs with over 80 concentrations. The top master’s in health administration from Framingham offers coursework in healthcare marketing, health law, management and leadership, and budgeting. Students complete a capstone course working with current and potential future issues in healthcare. This experience prepares students for real-world problems they will encounter in the field.